I came to appreciate the perspective of Thomas Cromwell through the fictional work of Hilary Mantle's Wolf Hall and the follow-up novel Bring up the Bodies. This drew me to this biography highly-touted and it did not disappoint! 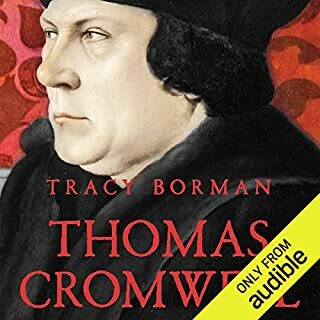 This book combined with the perspective of Hillary Mantel and various other books that I've read has lent a broader perspective of the man who was or may have been Thomas Cromwell. I appreciated his Machiavellian approach to the world. It also gives me great pride to think that a man who came from nothing and yet achieved so much change in the world. He wasn't perfect. He was self described as a Ruffian, and I think that is appropriate. The days of protagonists being squeaky clean are over and I think that's appropriate. History is never squeaky clean. I'm not a fan of revisionist history per say however I do believe that history should be revisited once new evidence is brought to light or new documentation reveals allows us to draw correlation and theorize a new direction for a person in history. Similar to Richard III, we are finding out so much that otherwise was left to propagandistic historical recording. Whereas today I think we try to use more factuality and are not scandalized as easily. I think the same has been allowed with Thomas Cromwell and I am glad for it because otherwise I would have believed he was a very foul human being otherwise. 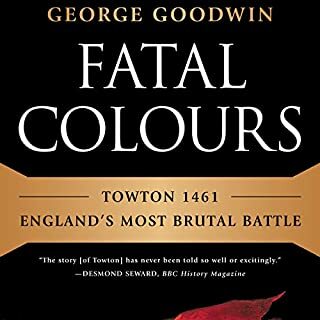 Fatal Colours includes a cast of strong and compelling characters: a warrior queen, a ruthless king-making earl, even a papal legate who excommunicates an entire army. And at its center is the first full explanation for the crippling incapacity of the enduringly childlike Henry VI - founder of Eton and King's College, Cambridge. With a substantive and sparkling introduction by David Starkey, Fatal Colours brings to life a vibrant and violent age. Exceptionally Detailed for advanced research! Superb, listening to this right after Conn Ingulden's War of The Roses series allowed for better visual understanding. Truth sans the cynicism, more believable. Many non Englishman drew their first introduction to Edward I from the film Braveheart, notwithstanding the horrid historical inaccuracies, bad accents, and Hollywood-ized depictions of characters, you could tell Edward was a force of nature. 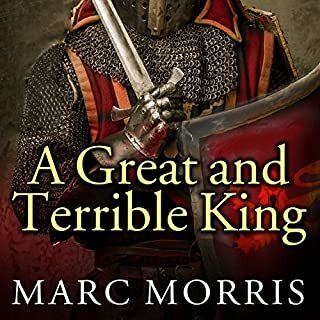 This book does a great job of shedding lights on the positives and negatives of his reign and tries to shed perspective as to the WHYS Edward made certain decisions. This covers a very similar timeframe and format to the Constant Princess by Philippa Gregory. This is a far more elegant explanation and description of events. I agreed entirely with the speculations of what could have happened. This was less gaudy than Gregory's attempt to describe a similar period. 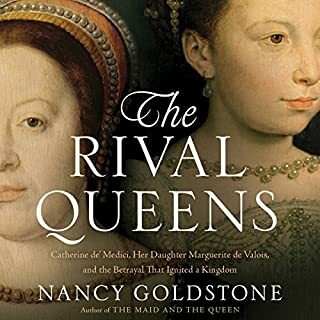 Could not get beyond more than 15 minutes because I could not take the reader serious as the Queen Mother of French Court Intrigue. She sounded far too much like she was reading a child's boom or a tween romance. 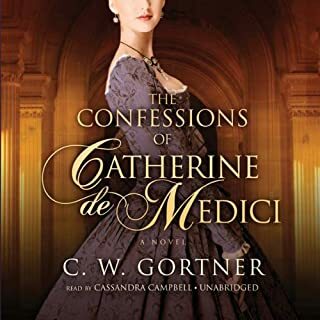 Will read the book instead of listen because CW Gortner stories deserve a good read, what it doesn't deserve is this awful child-like voice with little to no believability of inflection. Would you listen to The Rival Queens again? Why? I want to try to understand why the French Court needed to be as it was. I want to understand the cruelty. I am ashamed of this Mother / Daughter relationship. So I would listen to it, to make me feel a tad better about my terrible relationship with both a bio mom and an adopted mother. Catherine makes my Mothers look like un-abusiveness saints. What other book might you compare The Rival Queens to and why? 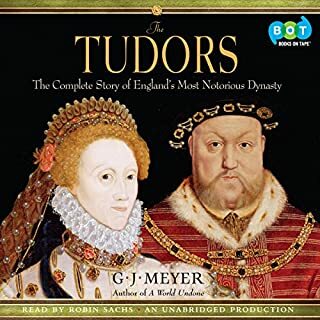 G J Meyer has a level of candor as I just finished his The Tudors: The Most Notorious Family, I would say this book captures a level of frankness about the realities of what these people were dealing with. It is not sugar coated and I like that. Which character – as performed by Suzanne Toren – was your favorite? Neither woman is my favorite. But if I had to pick, I would say it would be Margarite. Margo despite her abandonment and frivolity, does what no other can do. She survives without a drop of love or compassion from her own family. Who needs enemies when you have family. I went into this book with a well respected ideal of Isabella and a roguish impression of Ferdinand. 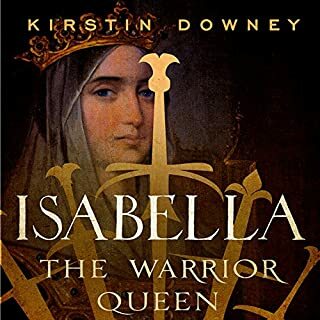 I left the book with an even stronger appreciation for Isabella's character reasons in contact to her environment and I found myself further enamored with her strength against all odds of being a woman in that time frame. Her only failing was that she did not raise all of her daughters to be as she was. Though I believe the political circumstances were right for her, Isabella to grasp the reins of power. I appreciate the author taking the time to explain the background of why things came to pass as they did. & I even more so appreciate the appendix which explains how she came about writing this book, why she wrote it, and the stance of which she chose. Her background as an investigative international reporter lends itself to a little bit more credibility than a traditional historian or novelist. This is not to say that traditional historians are any less investigative is simply to say that the combination of someone so meticulous with an ability of good storytelling lends to an excellent combination. 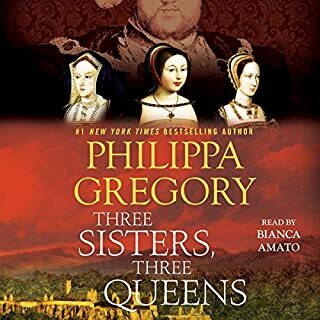 I would highly recommend this book to anyone who is sincerely interested in the events surrounding, during and post battle ridden life of Isabella of Castile and the incredible dynasty of the House of Trastramra. 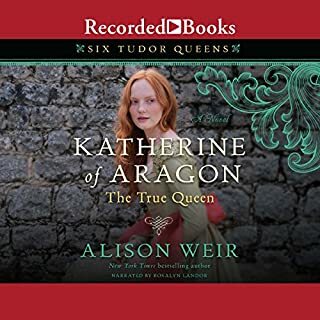 New York Times best-selling author Alison Weir is renowned around the world for her chronicles of Britain's royal families. 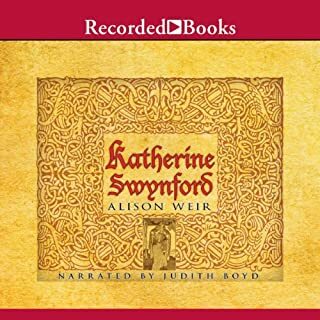 Here she turns her focus to the enigmatic former mistress of John of Gaunt, Katherine Swynford, who would go on to marry her lover and become Queen of England. Through Weir's captivating prose, listeners are treated to a rousing profile of a dynamic historical figure. I absolutely loved this novel. I always had assumed that the Cousins War was a manifestation of the two siblings of John of Gaunt and his youngest brother the Edmund of Langley Duke of York, descendants warring against each other. To find out that Anne Mortimer was linchpin between the two brothers that gave Cecily Neville the self righteousness that she wore is absolutely wonderful. To see that they all came from the same place with very little to distinguish them other than which side of the country. I find it extremely amusing that Warwick would call himself the kingmaker, when in reality and historically it has been John of Gaunt and his beloved mistress Katherine that truly were the kingmakers. Alison Weir is an exceptional talent and the production of this book was quite enjoyable. I particularly enjoyed the narrator's inflection when she was reading things as if she found a naughty passage of notes between lovers. Exceptionally fun but very well thought out and laid out. The beginning started a little slow with giving the origin story of Katherines humble beginnings. However it picks up speed once that John of Gaunt reaches adolescence and married his first wife Blanche of Lancaster. Excellent work Ms. Alison Weir! I highly recommend this to anyone who is interested in understanding the feudal world in the Hundred Years War.